We The People Media was formed as a not-for-profit organization in late 1999 by 10 prominent journalists, scholars, community and business leaders who wanted to ensure the survival of Residents’ Journal and the Urban Youth International Journalism Program. In June 1999, shortly after the takeover of the CHA by city officials, the new administration terminated CHA’s prior agreement with Residents’ Journal and instructed the staff to either integrate the publication into the agency’s public relations strategy or expedite the transition to publication by an independent not-for-profit organization. The Residents’ Journal staff opted to separate from CHA. After months of fundraising and other preparation, We The People Media assumed responsibility for Residents’ Journal and the Urban Youth International Journalism Program in August 2000. We The People’s guidance has enabled the Urban Youth International Journalism Program to hire new staff and redesign its Journalism 101 curriculum to enhance training for young people throughout the city’s low-income communities. The story of Chicago is often seen as the Tale of Two Cities. Unfortunately only one of these stories usually gets told in all its detail; the glorious downtown, the skyline, the glitz and glamour, the restaurants, the opera, the tourist Chicago, the chic Chicago, where problems are forgotten and escapist fantasy reigns. Then there’s the other Chicago,where most residents live, where schools and little else work as well as they should, where the infrastructure and housing crumbles, where too many children die either of boredom or neglect or too much violent excitement, the neighborhoody Chicago, the gritty real Chicago, where problems linger, and solutions are created by citizens noisily exercising their democratic rights. The Community Media Workshop, founded by a journalist, Hank De Zutter, and a community activist, Thom Clark, is a small institution trying to link the two Chicagos by encouraging the media to tell the stories of the other Chicago, the oft-neglected neighborhoods and back streets of Chicago, where the problems are felt most deeply and where solutions are most likely to be born. The Workshop trains people working on these problems to tell their stories to the media, tips sensitive journalists to the importance of these stories, and tries to create better relationships between the media and the diverse communities which make up Chicago and the Midwest. Since our start in a Malcolm X College classroom in 1989, over 800 nonprofit organizations have received hands-on training and coaching for their newsworthy efforts. Over 2000 groups have subscribed to Getting On The Air & Into Print, the comprehensive Chicago media guide. Another Workshop publication, Newstips, is now distributed twice-monthly to over 700 reporters, editors and producers around Chicago. Now at Columbia College, we tap the talent and experience Columbia’s communications-oriented student body and faculty can offer to the city’s nonprofit community. Beyondmedia Education envisions a compassionate and just society where universal access to media tools and information equip women and youth to document and communicate their stories, serve as educators and role models for others, influence public policy, and generate social transformation. Beyondmedia Education’s mission is to collaborate with under-served and under-represented women, youth and communities to tell their stories, connect their stories to the world around us, and organize for social justice through the creation and distribution of alternative media and arts. Beyondmedia Education works with communities most in need of media education and services because of economic and/or social exclusion. Since 1996, we have partnered with over 100 community-based organizations and schools to produce media arts on subjects ranging from girls’ activism to women’s incarceration. The Ad Council has endeavored to improve the lives of all Americans since first creating the category of public service advertising in 1942. From our earliest efforts including “Loose Lips Sink Ships” to the more recent “I am an American,” Ad Council PSAs have been raising awareness, inspiring action and saving lives for more than 60 years. Based on our long history of effecting positive change, it’s fair to say that Ad Council campaigns have inspired several generations of Americans. Our ultimate goal is to ensure that future generations will reap the benefits of our efforts to date, and continue to be inspired by our public service campaigns in the future. The Chicago Climate Exchange (CCX) is North America’s only, and the world’s first, greenhouse gas (GHG) emission registry, reduction and trading system for all six greenhouse gases (GHGs). CCX is a self-regulatory, rules based exchange designed and governed by CCX Members. Members make a voluntary but legally binding commitment to reduce GHG emissions. By the end of Phase I (December, 2006) all Members will have reduced direct emissions 4% below a baseline period of 1998-2001.Phase II, which extends the CCX reduction program through 2010, will require all Members to reduce GHG emissions 6% below baseline. Where do you go when you care about the natural world and want to get more involved? Maybe you already recycle but want to do more. Or perhaps you’re a teacher and you want your students to understand—and help protect—the natural resources around them. Possibly you work for an environmental organization and want to reach other organizations with the same goals. The Chicagoland Environmental Network (CEN), a group of more than 200 environmental and natural resource organizations, can get you connected. Who uses CEN? People just like you. CEN is a resource for anyone interested in nature or conservation-related activities in northeastern Illinois and surrounding areas. CEN organizations are involved in important work, including habitat restoration; wetland, prairie, and watershed projects; urban gardening; energy conservation; composting, wildlife conservation; and recycling. Click a link below to search the CEN database for volunteer opportunities, jobs and internships, family activities, or to learn more about CEN organizations. The Independent Media Center is a global network of collectively run media outlets for the creation of radical, accurate, and passionate tellings of truth. We are motivated by a love and inspiration for people who work for a better world despite corporate media's distortions and unwillingness to cover efforts to develop an egalitarian and sustainable society. 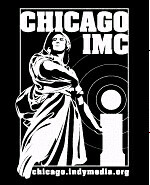 The Chicago Independent Media Center is a grassroots organization committed to using media production and distribution as tools for promoting social and economic justice in the Chicago area. We are dedicated to addressing issues that the mainstream media neglects and we do not conceal our politics behind a false objectivity. We will empower people to “become the media” by providing democratic access to available technologies and information.